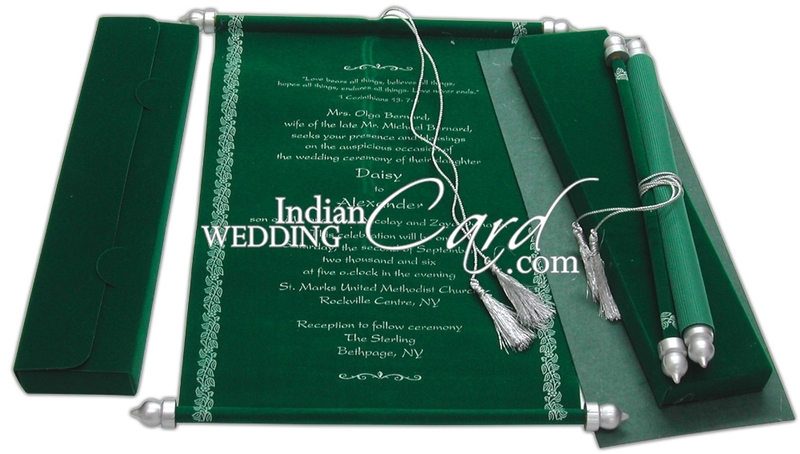 Description: In the likeness of the color of creativity itself and marking the moment when the tree of life takes a new leaf, this green velvet cloth card has the essentials to exuberate you. 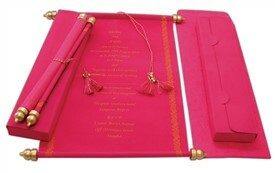 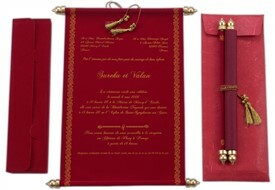 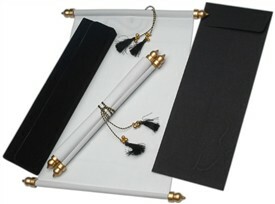 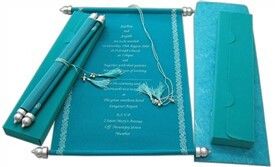 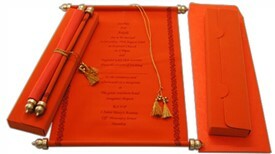 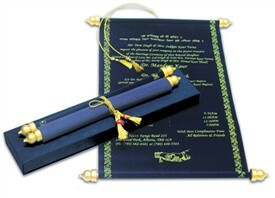 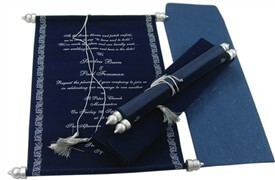 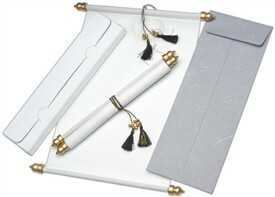 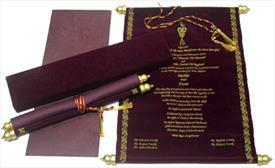 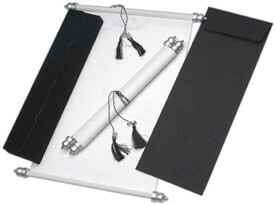 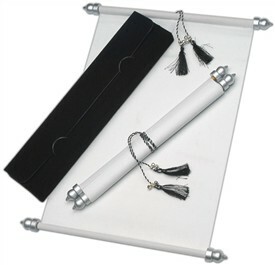 The scroll card white floral borders and is framed by silver colored traditional design bars. 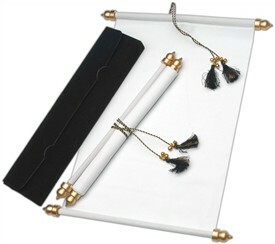 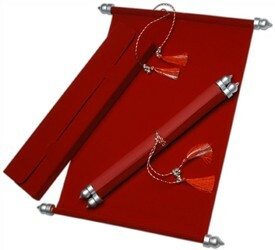 The card is tied by a silver silken tassel and the box envelope in green velvet cloth which stores this piece of beauty is also tied by a silver tassel.